NOW available to rent or download to own! DISCOVER Esalen Massage, the world famous massage technique practiced at the Esalen Institute in Big Sur, CA for over 40 years. The Esalen Massage video offers hands-on instruction from the professional bodywork and massage therapists, on-site at the Esalen Institute. Known worldwide, Esalen massage is a unique, holistic style of bodywork which focuses on the whole person. In this easy-to-use instructional program, you’ll be able to simultaneously view the video while giving an Esalen massage to your husband, wife, friend or lover. Shot entirely on location at the acclaimed Esalen Institute,this instructional program is used by over 50 massage schools. Up-close video footage features 19 members of the acclaimed Esalen Massage crew. 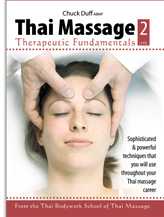 Includes both hands-on demonstrations of massage and bodywork techniques and audio interviews. Recaps, reviews and personal explanations shed light on what has made Esalen® certified massage well-known and respected as a unique modality worldwide. The DVD offers a choice of three languages: English, German and Spanish. Two NEW shorter mini-programs are also included: a 20 minute Back & Shoulders program and a 10 minute Head, Neck & Face program. Each of the featured members of the acclaimed Esalen Massage crew offers his or her own interpretation of Esalen® Massage, providing both narration and hands-on demonstrations. This unique format allows you to choose among different styles; try out a few and decide for yourself what makes you and your partner comfortable. According to SPA Magazine, an Esalen massage therapist views the work as a time of meditation, using intuition to relate to a client. . . the recipient is gently urged to become an active participant through heightened awareness and surrendering to a deep sensing place. People who have experienced Esalen Massage agree that it is an extraordinary form of bodywork. 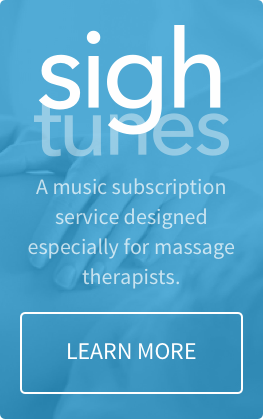 This unique style of massage integrates the whole body with long strokes, blending wisdom and techniques from other cultures, and weaves new concepts of subtle energy with bodywork. Esalen Massage evolved from the contributions of early teachers at this center for experimental education and it continues to expand and grow as present-day practitioners add to the whole. "Esalen is a sacred space where we come not to rework our practical life, but to discover an inner life, to respond to a vocation, to find a calling." "If feeling good is a religion, its cathedral is Esalen." "Esalen has evolved into an institution. It is the Emerald City of massage and bodywork."